Lawrence Guimond, 32, has broken the world record for the 100-metre Lip Point on Sunday, after successfully directing his son to get his wallet on the dresser in his bedroom while seated in his truck in his driveway. 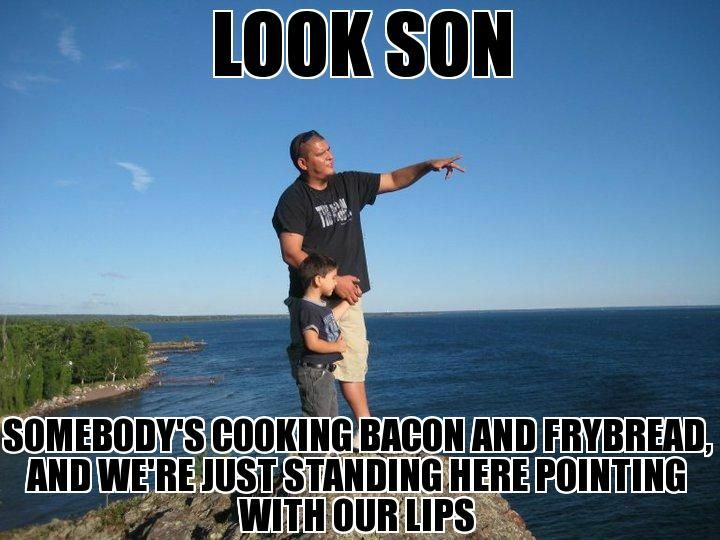 Lip Pointing, a non-verbal communication used in many Indigenous communities, involves pursing the lips to ‘point’ at something or someone. “Let’s see, get my wallet, boy,” Guimond told his 10-year-old son when he was leaving his house. When his son asked where it was, Guimond pointed with his lips towards his house and simply uttered ‘over there.’ So precise were his lips, witnesses said, that his son knew instantly that he was pointing at his dresser, which was in his bedroom. Guimond’s Lip Pointing breaks a previous record held by Elsie Mukwa, 83. a northern Saskatchewan woman who successfully instructed her granddaughter to get her purse located 100-metres away on a counter. Interesting. Who judges these rare occurrences to determine new records? I'm trying to figure out whether to laugh or give a thumbs up! That's pretty effective lip pointing. It's okay to laugh.That's the point.